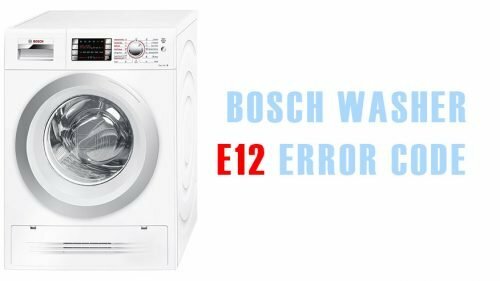 The E12 fault code refers to the water inlet valve and indicates that the filling process is too slow. Please, make sure that all inlet taps are on. Check the cold and hot water supply lines. If everything is ok, the valves on the unit have failed. Also, it is likely that the valves’ screens require a bit of cleaning. If they are damaged seriously, they will need to be replaced.